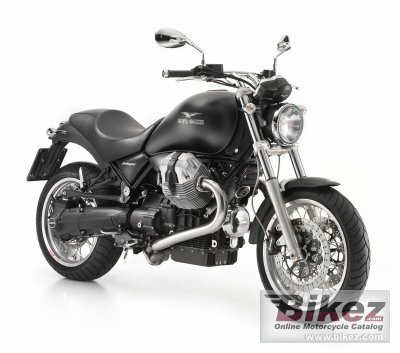 2011 Moto Guzzi Bellagio. Picture credits - Moto Guzzi. Submit more pictures. Individuality and fashion find expression in the Bellagio�s sober yet elegant looks, creating complete harmony between advanced technology and the latest innovative design solutions. Price as new (MSRP): Euro 10760. UK � 7799. Prices depend on country, taxes, accessories, etc. Front brakes: Double disc. Stainless steel discs, floating Brembo calipers with 2 parallel pistons. Rear brakes: Single disc. Fixed stainless steel disc, floating Brembo calipers with 2 parallel pistons. Ask questions Join the 11 Moto Guzzi Bellagio discussion group or the general Moto Guzzi discussion group. Bikez.biz has an efficient motorcycle classifieds. Ads are free. Click here to sell a used 2011 Moto Guzzi Bellagio or advertise any other MC for sale. You can list all 2011 Moto Guzzi Bellagio available and also sign up for e-mail notification when such bikes are advertised in the future. Bikez has a high number of users looking for used bikes. Before you buy this bike, you should view the list of related motorbikes Compare technical specs. Look at photos. And check out the rating of the bike's engine performance, repair costs, etc.